It Will be Lovely in Your Favorite Colors, Too! 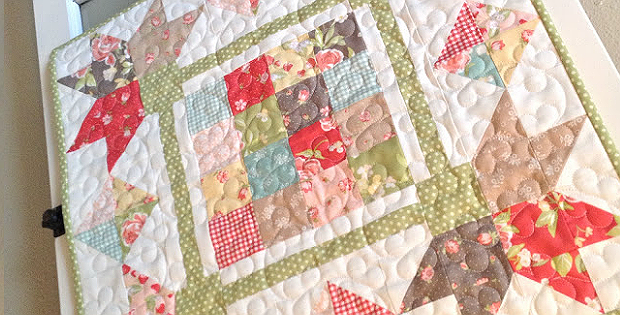 Blossoms on a squared off vine surround a pretty patchwork center in this charming little quilt. 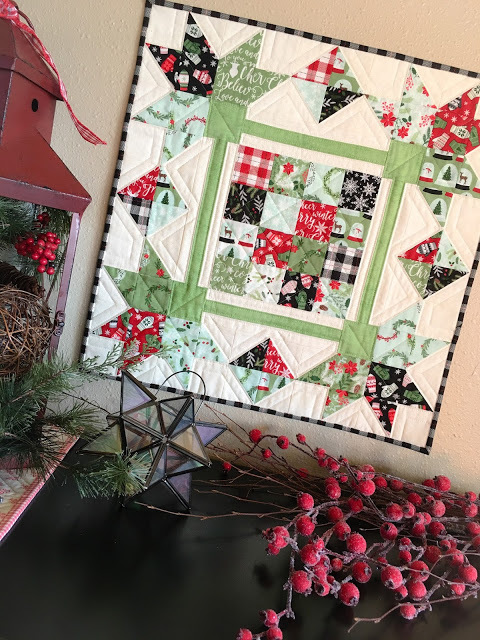 It’s a great project for 5″ charm squares from a favorite fabric line. 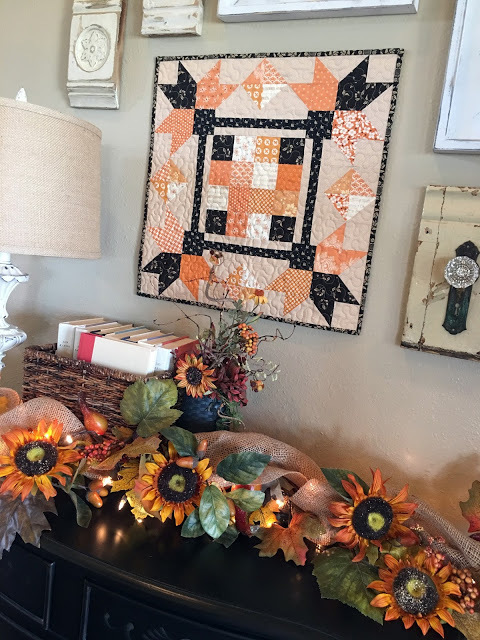 The designs works in colors and fabrics for any season. Play up the blooms in spring pastels and summer brights. Or let the overall design shine through in colors for any season. 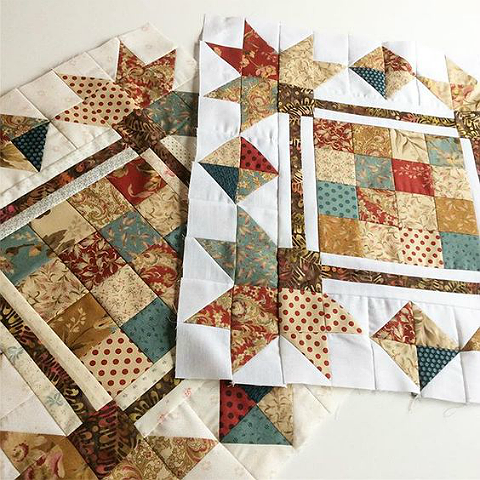 This is a simple quilt to construct and can be finished quickly. Enjoy it on your wall or table for a spot of color. You may want to make more than one to switch out during the seasons. 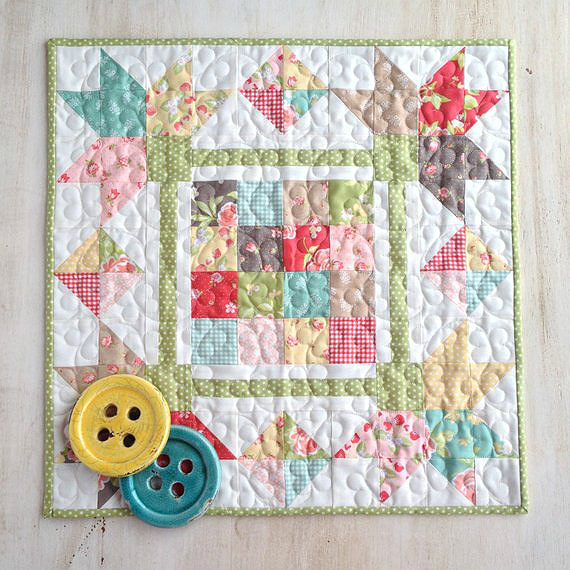 Hand quilted version by @sylviamclean. 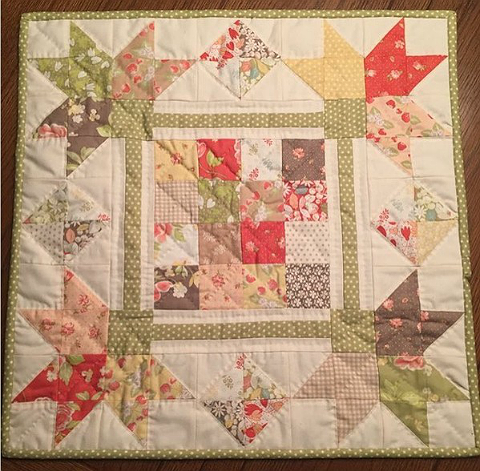 The finished quilt, designed by Taunja Kelvington from Carried Away Quilting, is 20” x 20”. Learn more and see several examples here. 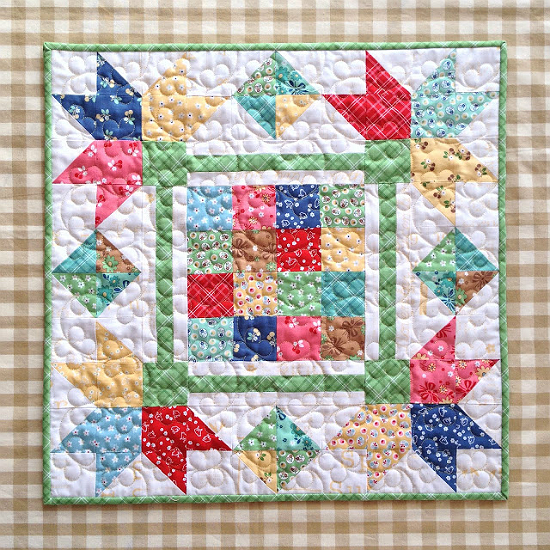 Click here to purchase the “Picking Petals” mini quilt pattern.